Our support team is happy to help you, be it for technical or administrative issues. We’re there for you! Log into My Panel (my.hoststar.at). 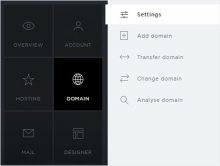 Click the «Domain» menu item and then «Settings». 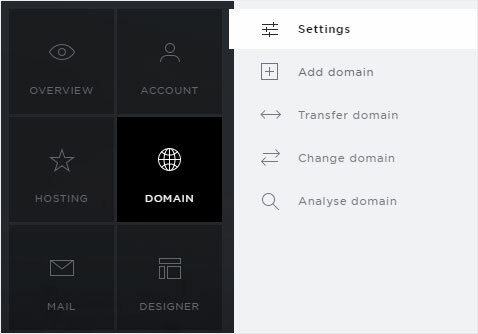 Expand the view by clicking the «arrow icon» next to the domain with the DNS zone you want to change and then click the «Edit DNS» button. The DNS records saved in the system are displayed here. 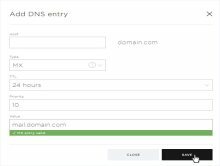 If you want to add a new DNS record, click «Add DNS entry» at the bottom. If you want to make changes to an existing DNS record, click on the «pencil icon» to the right of the relevant item. 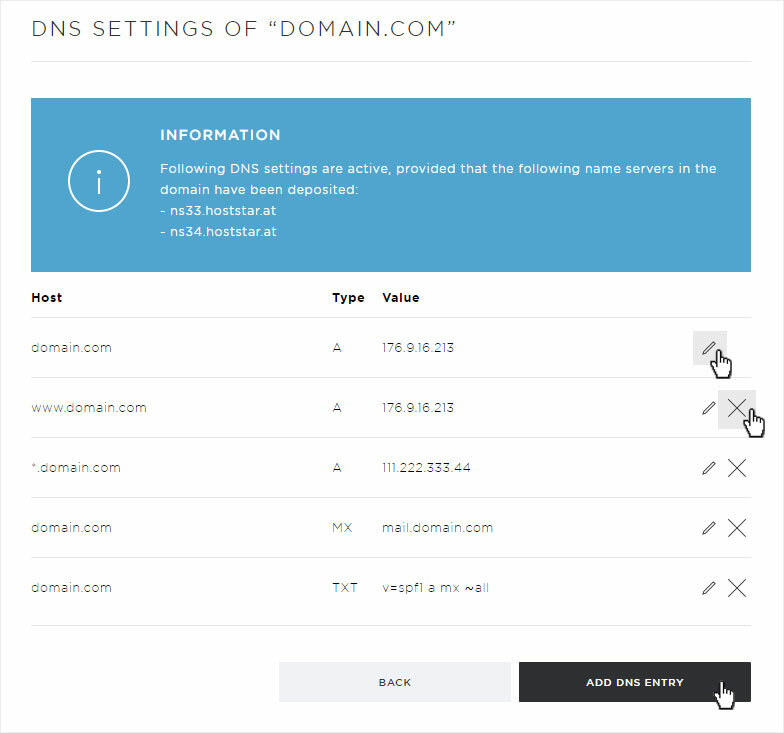 If you want to delete an existing DNS record, click the «X» to the right of the respective item. Maps a domain to a specific IP address. The (sub)domain you want to redirect. How long this DNS record remains valid in the cache of a name server. The target of the DNS record. In the case of an A-record, this must always be an IP address. 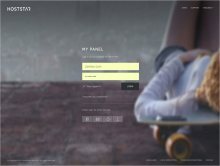 link from a subdomain with another subdomain. An alias for a domain name. In the case of a CNAME record, this must always be a hostname. 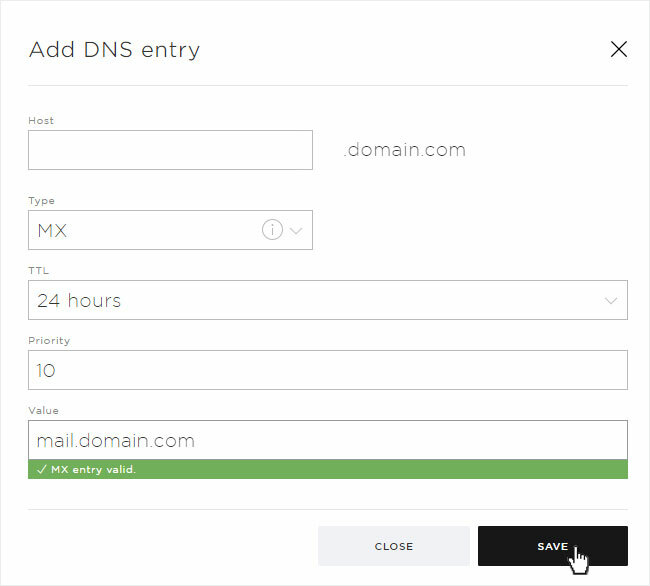 Redirects email traffic from a domain to another email server. Defining a hostname as the designated mail server with a certain priority required. The priority assigned to this record with respect to the other MX records. The hostname of the mail server. In the case of an MX record, this must always be a hostname. 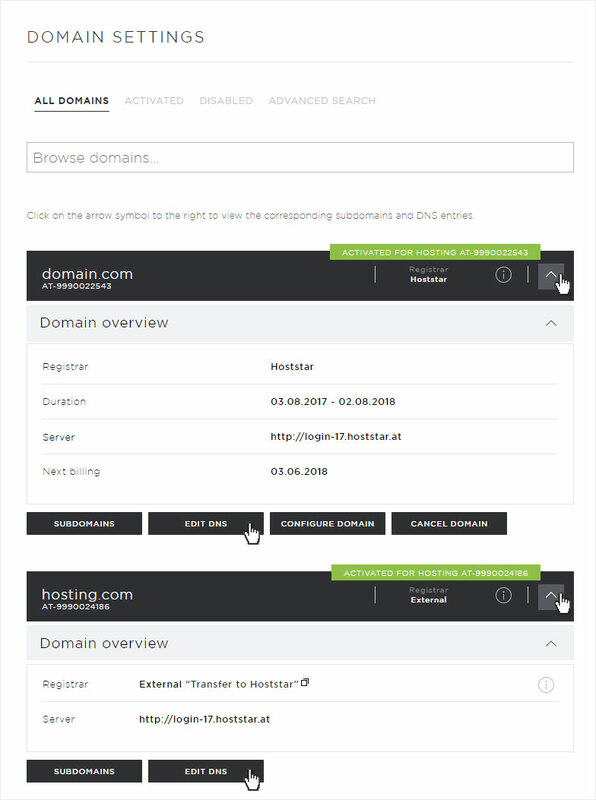 TXT records can be used to save additional information in the name-server settings for a domain. The text is user-definable. This lets you include information to a name-server record when the information cannot be assigned to any specific record type. TXT records are therefore especially well-suited for special, custom configurations and the use of new services at the name-server level for which there is no specific record type available. Here you can also add SPF records (Sender Policy Framework on Wikipedia). Service resource records (SRV) can redirect IP-based services with a specific port to the desired server that provides this service. The priority assigned to this record with respect to the other SRV records with the same service. The weighting given to this record within the same priority level of the same service. This is used for load balancing. TCP or UDP port of this service. The hostname of the server providing this service. For SRV records, this must always be a hostname. 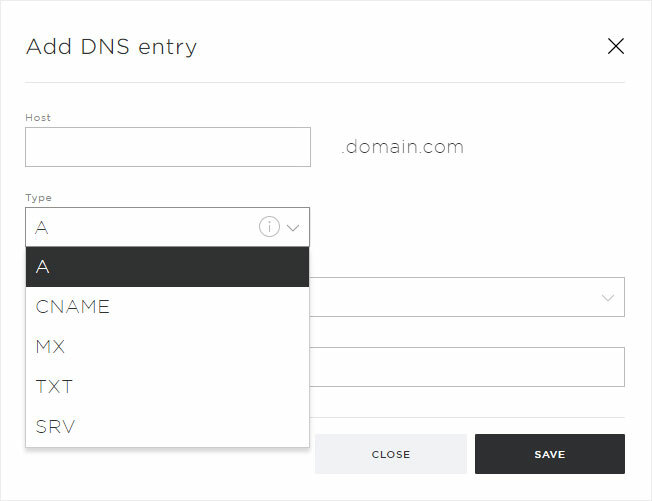 After making your changes or adding a DNS record, click «Save». Please note the Time To Live (TTL) that has been set. This indicates when the DNS record will be updated globally. Order now All prices incl. installation and 20% VAT.